NAAOP’s Officers and Directors invite all those participating in comprehensive O&P care to bring their energy and passion to support our profession. Contact us. Rebecca Hast recently retired after a career of more than 30 years in health care with the most recent 13 years spent in varying executive roles with Hanger, Inc. In 2005, she joined Hanger as President of Linkia, the subsidiary responsible for creating value through services and an O&P network dedicated to national and large regional payers. Linkia remains the premier O&P network serving the large payer community. 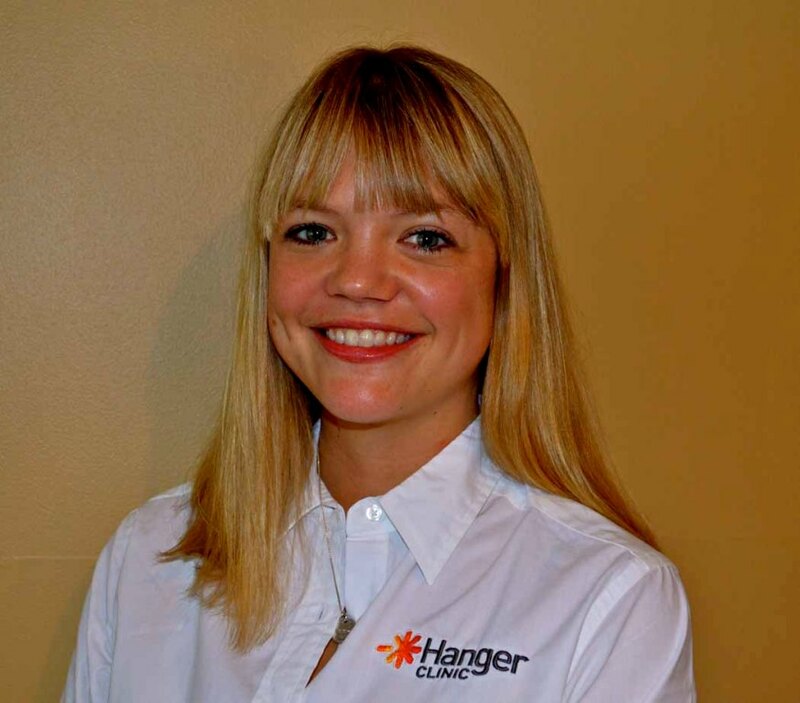 In recent years, Ms. Hast has forged an enterprise-wide regulatory compliance effort at Hanger by creating a shared corporate resource center for all Hanger divisions. In addition, as part of Hanger’s executive team, she has worked closely with other senior members in developing and implementing strategy for growth, as well as successfully managing significant change in health care markets. Prior to joining Hanger, Ms. Hast held leadership positions with United Health Group (Optum Division and Dental Benefit Providers), Magellan Health Services, Inc. (a specialty health care management company), American International Group (managed health care in worker’s comp), and St. Luke’s Hospital in St. Louis, MO. Ms. Hast holds a B.S. degree from University of Pittsburgh and a professional certificate in health care compliance from The George Washington University. 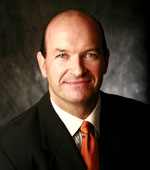 Glenn Crumpton, CPO, C-ped is President of Alabama Artificial Limb and Orthopedic Service, Inc in Montgomery, Alabama. AAL&OS is a private practice with offices in Montgomery, Opelika, Dothan and Selma. Glenn has spent his life in orthotics and prosthetics and is active in advocacy for the physically challenged. As a third generation prosthetist/orthotist, he has had the opportunity to witness the dramatic changes and advances in the O&P world that allow for remarkable results never before possible, while maintaining a connection with traditional methods and techniques for those who desire it. Glenn’s time spent in graduate school for prosthetics and orthotics at Northwestern University in the late 1980’s and subsequent educational opportunities combined with over 30 years of experience in prosthetics and orthotics allow him to address the needs of his patients on many different levels to suit their needs and desires. Glenn was instrumental in the establishment of a licensure law in Alabama in 2002. Glenn’s family is a major part of his life and he enjoys many activities with his daughters; Sara, Jordan and Emilee and his wife, Jennifer. Glenn is also a devoted Auburn Tigers and Atlanta Falcons football fan. 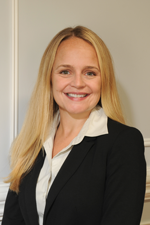 Maggie Baumer is an attorney licensed to practice in both New York and Massachusetts. She earned her Bachelor’s Degree in Clinical Psychology from Tufts University in 2004 and her Juris Doctor degree from the Benjamin N. Cardozo School of Law in 2011. She has served in advocacy positions for several health care organizations including the Long Term Care Community Coalition and the Office of the New York State Attorney General (Health Care Bureau) in New York City. Most recently, she became a member of the Trauma Survivors Network Advisory Board (2014 to present) and the American Trauma Society’s Board of Directors (2016). 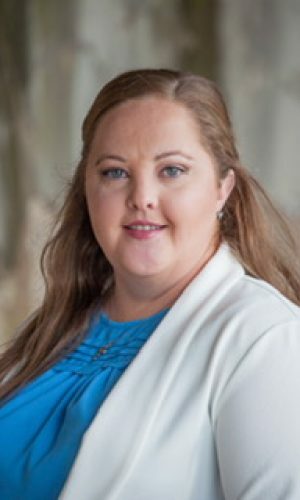 She currently serves as Clinic Manager, Hanger Clinic – Springfield, educating practitioners on the latest prosthetic technology, as well as a Certified Peer Visitor Coordinator for the AMPOWER program, a peer-to-peer network designed to empower and strengthen those affected by amputation or limb difference through peer mentorship, educational resources, and community events. Todd Eagen is president of the Orthotic and Prosthetic Group of America (OPGA), a membership organization that provides innovative business solutions to more than 1,200 independent O&P facilities nationwide. Since joining OPGA in 2011, Eagen has had an unwavering commitment to the O&P profession. He has a great understanding of the health care system, in particular, patient care, practice management and the complexities of reimbursement and regulatory guidelines. Through his leadership, OPGA has excelled at connecting its membership and supplier partners to programs that improve productivity, proficiency and profits. Prior to OPGA, Eagen was an executive sales representative for GlaxoSmithKline Pharmaceuticals where he worked with both primary care and specialty physicians to connect them to an extensive portfolio of medications. He also was responsible for hiring and training a regional sales force. Eagen has a core foundation of not only discovering, but also delivering, solutions to help others succeed within their professional or personal communities. Something he developed during his 12-year career as an assistant football coach at the University of Northern Iowa (UNI). He is also a graduate of UNI with a Master of Arts degree in Physical Education with an emphasis in Anatomy and Kinesiology. Personally, Eagen is married with two teenage daughters. He enjoys golf and attending his kids’ many sporting events. Dan Bastian, CP is Co-Founder and Co-Owner of Progressive Orthotics and Prosthetics in Albertson, New York, which he started with his business partner, Sal Martella, nearly twenty years ago. Progressive O&P is a successful clinical practice providing compassionate care for adults, children, and veterans needing prosthetic and orthotic solutions. Dan is also living with limb loss. In 1980, at the age of 15, Dan was diagnosed with osteogenic sarcoma in his right leg and underwent many (unsuccessful) reconstructive surgeries to repair the damaged bone and musculature. He made the difficult decision to have his right leg amputated in 1989, and has walked with a prosthesis ever since. Dan, a Certified Prosthetist (CP) has dedicated his career to helping patients living with limb loss. Dan is a leader at the local and national level on issues pertaining to amputees’ rights and access to quality prosthetic care. Dan founded the “One Life For Life” online petition which gathered over sixteen thousand signatures and successfully convinced New York State to reinstate coverage for medically necessary prostheses, repairs to prostheses, and replacement prosthetic limbs. Mark D. DeHarde is the President of Ultraflex Systems Inc, an international manufacturer of dynamic bracing and dynamic orthoses. Mr. DeHarde is committed to working with professionally organized O&P clinicians in all markets for the betterment of patient care. He served as the President of NAAOP for the 109th Congress, 2005-2006. Mr. DeHarde, a long time member of NAAOP, has served in the capacity of Executive Committee member and Chair for the Government Relations Committee. He currently serves as NAAOP’s representative for the O&P Alliance. Mr. DeHarde received a Bachelor of Science in Business Administration from Susquehanna University and a MBA in Finance from Saint Joseph University. 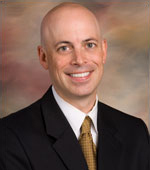 Mr. DeHarde is an honorary member of the American Academy of Orthotists and Prosthetists. He is married and a father of two. He coaches basketball, soccer, and baseball and is active in his church community. 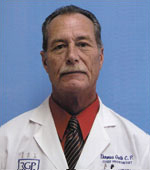 Thomas Guth, CP, is the Chief Prosthetist for the RGP Prosthetic Research Center and the current President of NAAOP. With over thirty-five years of experience in the prosthetic industry, Mr. Guth dedicated his career to developing new ways to increase the quality of life and comfort of amputees. After receiving a Bachelor of Arts in Political Science/History from San Diego State University and later postgraduate courses in Prosthetics at New York University and University of California, Los Angeles, Mr. Guth went to work for his father at RGP Prosthetic Research Center. He was the founding Director of the California Orthotic and Prosthetic Association from 1978 – 1980, President of the California Orthotic and Prosthetic Association from 1980 – 1982, and is a founding member of NAAOP. Kathy L. Mascola, LPO, CO, BOCPO is a graduate of Fairleigh Dickinson University in 1982 with an Associate of Science and Physical Therapy Assistant Certificate and New York University in 1988, Bachelor of Science in Prosthetics and Orthotics. She is NJ Licensed and has over 27 years of clinical experience specializing in Pediatrics and Sports Medicine. Kathy has an extensive clinical, fabrication and design experience. She has been active with of the American Academy of Orthotist and Prosthetists (AAOP) with her chapter. She currently is the President of the NJ Chapter of AAOP and has been an active Board/ Committee Member for the past 10 years. Kathy is married and the mother of four. 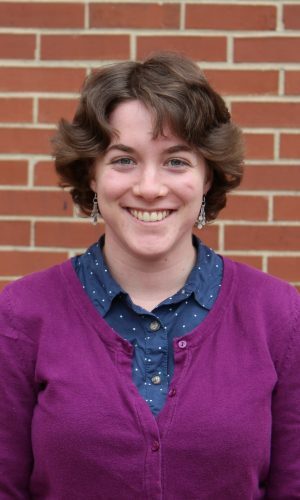 She previously coached soccer, was a scout leader and active in the church community. David McGill is the Vice President of Reimbursement & Compliance at Össur Americas. Since joining Össur in 2006, he has obtained 2 of only 5 reimbursement codes granted by Medicare during that time for lower extremity prosthetics. He provides in-person and web-based presentations to practitioners, business owners, and billing personnel in the orthotics and prosthetics industry. These unique offerings help Össur’s customers navigate an increasingly hostile reimbursement environment. David also authors two blogs (Össur R&R and less is more) and records a monthly podcast (Amp’d). David has been interviewed by Psychology Today magazine (2013) The Christian Science Monitor (2013), CNN (2011), BBC Radio (2011) and The Wall Street Journal (2003). He has been featured in Mazda’s Conviction, Creativity and Courage ad campaign (2013), as well as the documentary, Out On a Limb (2012). InMotion Magazine featured him on the cover of its January/February 2014 issue for an article he wrote about parenting with limb loss. David also has a successful history of business leadership and innovation, co-founding a prosthetic patient-care facility in 2001. Under his guidance, the company won more than 90% of its insurance appeals. He has served on the NAAOP board since 2009 and is a former board member/Chair of the Amputee Coalition (2003-11). Ann Leimkuehler Moss is the President of Union Orthotics & Prosthetics. Union Orthotics & Prosthetics has eleven offices and sixty three employee’s serving western Pennsylvania. Ann is a 3rd generation O&P professional and currently owns and operates the business along with her brother Peter Leimkuehler, CPO and sister Laura Mullin, CPO. Prior to assuming the position as President of Union Orthotics & Prosthetics, Ann served as Vice-President/General Manager, Administrative Manager and Patient Care Coordinator. Ann is a graduate of Ohio University with a Bachelor of Science Degree in Communications and Business Administration. Ann has stated that today’s top challenge for the O&P profession is healthcare legislation and regulation and that NAAOP’s advocacy and mission is critical in shaping the future of O&P. Paul Prusakowski, CPO, FAAOP, is the owner of Gainesville Prosthetics, an independent private practice in Gainesville Florida; President of O&P Digital Technologies, the developers of oandp.com; and lead architect of OPIE practice management / electronic medical records software. Mr. Prusakowski is the former Secretary/Treasurer of NAAOP; former president of the American Academy of Orthotists and Prosthetists; founder and moderator of OANDP-L, the global listserv for the O&P profession; co-founder and Director of the Digital Resource Foundation for the Orthotic and Prosthetic Community, www.drfop.org; and serves as adjunct faculty at Georgia Tech O&P program and St. Petersburg O&P program. He was actively involved in the establishment of a licensure law in the state of Florida in 1995. He is a 1992 Graduate of Florida International University O&P program. Mr. Prusakowski lectures nationally and internationally on clinical, computer technology, and business related topics in O&P. 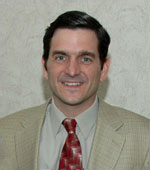 Michael Rayer, CP is the managing partner for Prosthetic Innovations, a prosthetics only practice located in Crum Lynne, PA. He has a degree in Mechanical Engineering from the University of Virginia and is a graduate of the Newington Certificate Program in Prosthetics. He is an ABC Certified Prosthetist and is licensed in the state of Pennsylvania. 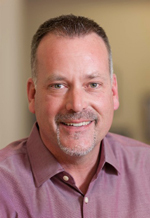 Jim Rogers, CPO/L, FAAOP is managing CPO for Pinnacle Orthotic and Prosthetic Services in Chattanooga, TN. He is a graduate of New York University’s Prosthetics and Orthotics Program and has been in clinical practice for over 30 years. He is Board Certified and Licensed in Prosthetics and Orthotics and is a designated Fellow of the American Academy of Orthotists and Prosthetists. Jim has a long history of service to the O&P profession and is a past-president of the American Academy of Orthotists and Prosthetists. He is a recognized clinical presenter at national and state meetings and a certified Alpine Skiing coach for Special Olympics. He participates in a variety of events aimed at providing athletic opportunities for physically and mentally challenged individuals. He also participates in the Advantage Program Les Cayes through Medical Teams International providing orthotic and prosthetic care to the citizens of Haiti. Jim is married to Caroline his wife of 26 years, and they have three children. 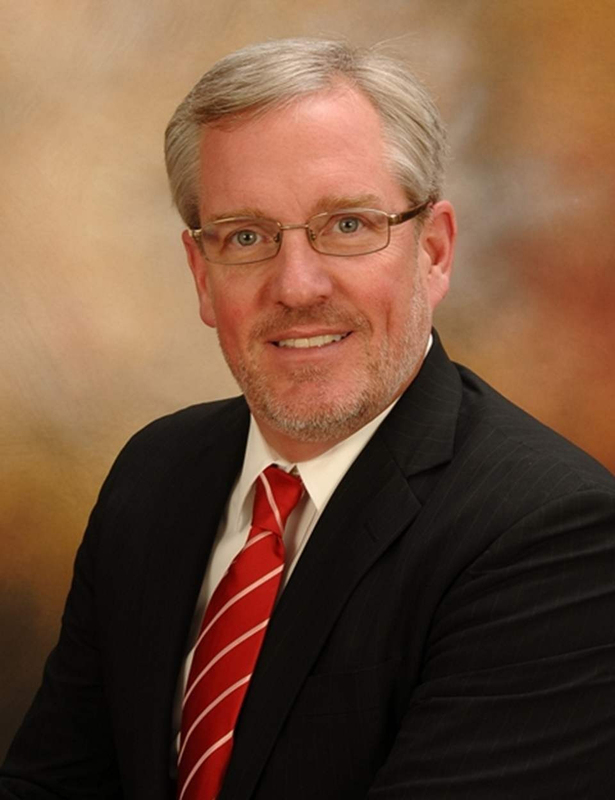 Gordon Stevens, CPO, is currently President of Baker O&P Texas, which is part of Bulow Clinic Partners. Prior to merging with Bulow Clinic Partners group in June of 2014, Gordon was owner of Baker Orthotics & Prosthetics. He purchased this practice in 2001. 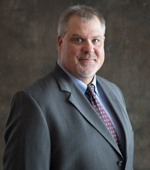 Gordon currently practices in both upper and lower extremity prosthetics drawing from his background as the clinical director of NovaCare/Hangerï¿½s upper extremity program. Gordon graduated from the UT Southwestern O&P program and has over 20 years of direct orthotic and prosthetic experience. 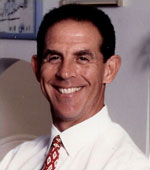 In 1995, Gordon was the recipient of the NovaCare Chairman’s award. He continues to sit on the advisory board for Otto Bock since 2008 and the advisory board for Össur since 2012. Gordon has been asked to serve as a clinical expert at Össur’s national sales meeting for the last two years. As a strong believer in research in the field of O&P, Gordon is an investigator on a study that was recently awarded the Thrandhardt lecture series award at the AOPA national assembly in 2014. Brittany Stresing, CPO, FAAOP is a Nationally Certified Prosthetist & Orthotist, and is the Founder and President of LimBionics of Durham. Brittany acquired her passion for the profession during her early teenage years as she received orthotic treatment for scoliosis, leg length discrepancy and other spinal issues. Brittany was able to learn a great deal through her medical and orthotic treatment. Brittany attended the University of Texas Southwestern Medical Center for her Prosthetic and Orthotic education and then moved to North Carolina for her residency and then continue on into private practice in North Carolina. Brittany is currently the President for the North Carolina Chapter of the American Academy of Orthotists, Prosthetists, and Pedorthists. 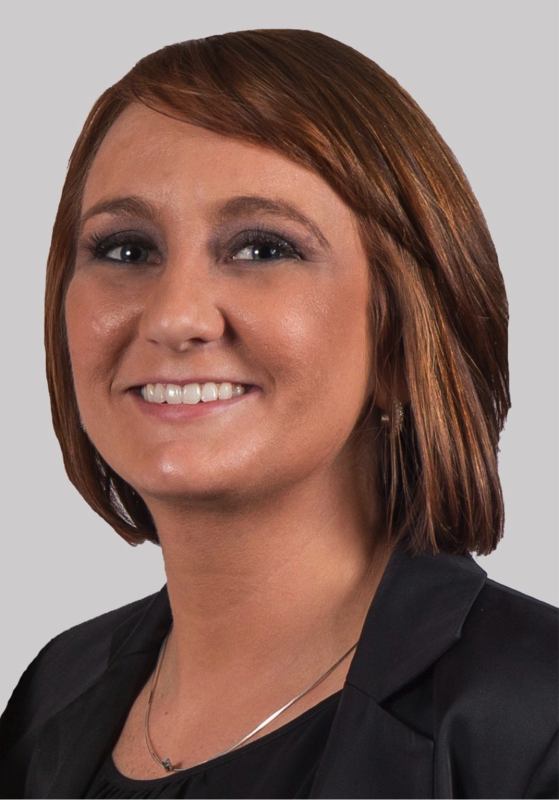 In 2015 Brittany was awarded the Triangle Business Journal 2015 Healthcare Hero Rising Star award as well as the Gold Stevie International Award for Female Entrepreneur of the Year for 2015, Silver Stevie International Award for Young Female Entrepreneur, and was featured as one of Durham’s Women of Achievement in 2015. In 2016 she has been selected to be a part of the Forbes 30 under 30. Brittany has been a guest lecturer and location for clinical rotations for the Physical Therapy students and the Biomedical Engineering department at Duke University as well as that she assists with many adaptive sports programs. She is a residency site director and greatly enjoys educating the future practitioners. Brittany has taken her own health issues and made it her life goal to ensure the best individualized care and devices are created and provided to those in need. She enjoys helping to advance the profession in patient care as well as legislatively. Jan Stokosa, CP, FAAOP Okemos, Michigan. Jan credits and honors his father, the late Walter J. Stokosa, CP, for guiding and mentoring him in Prosthetics. Initiated to prosthetics at age 7, Jan assisted his father in the fabrication laboratory of the private facility where his father was employed, then at the Prosthetic and Orthotic Department at the University of Michigan Hospital, which his father helped create. 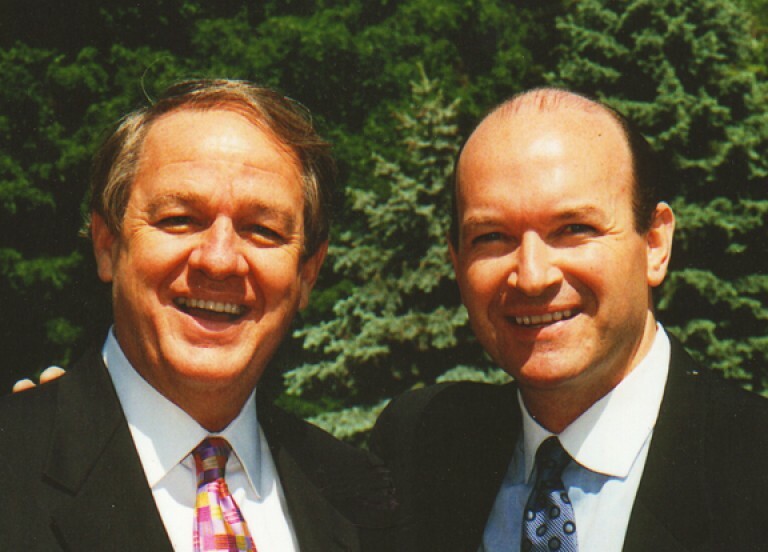 In 1967, Jan graduated first in his class from Northwestern University’s pilot Prosthetist Practitioner Program, and joined his father in private practice. He was certified as a Clinical Prosthetist by the American Board for Certification in Prosthetics in 1969. In 1976, he co-founded the Institute for the Advancement of Prosthetics with William G. Barr, an above-knee amputee, in Lansing, Michigan. The purpose of this non-profit Institute was to provide the maximum possible contribution to the quality of life of amputees, serving those members of the amputee community who were unable to return to their day to day lives due to complications experienced from amputation surgery and prosthetic care. Jan has been the recipient of numerous awards and honors which include the American Academy of Orthotists and Prosthetists Distinguished Practitioner Award, the New Advancement Research Award from the Michigan Legislative Council for the Handicapped, the Outstanding Professional Award from the Michigan Rehabilitation Association, inducted in the U.S. Ski Hall of Fame for sponsoring, teaching, and organizing handicapped skiing in Michigan, an inductee in the 95th Congress of the United States for providing “model” professional care to amputees. Jan is a consultant to Private and institutional Prosthetic Clinical Facilities. He is a staunch supporter of new technology and techniques that assist amputees, regardless of the complexities they present. He continues to push for stringent education requirements and participates in many state and national committees to advocate for positive prosthetic rehabilitation legislation. Peter W. Thomas is a principal at the law firm of Powers Pyles Sutter & Verville, P.C., a Washington, DC law firm specializing in health care and education. He focuses his practice on health care law, legislation and regulation, medical and vocational rehabilitation, and disability law and policy. He has served since 1991as general counsel to the National Association for the Advancement of Orthotics and Prosthetics (NAAOP), a national non-profit association of orthotic and prosthetic providers and routinely advises O&P businesses and practitioners on the billing, fraud and abuse, and regulatory requirements of Medicare, Medicaid and private health insurers. He routinely writes articles for industry publications and has been the lead attorney teaching an industry course on O&P compliance with federal and state health care laws. Mr. Thomas is admitted to practice law in New York State and Washington, D.C. and attended Boston College and Georgetown University Law Center. George W. Breece is the current and founding executive director of NAAOP. Since 1987, Mr. Breece has worked to preserve NAAOP’s unique role as a trusted government relations advocate for professional O&P patient care. 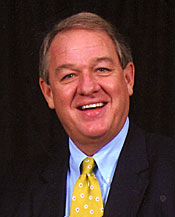 Breece’s professional experience includes being a former member of the North Carolina House of Representatives; former Vice President of Special Projects for the National Cable Television Association and chief lobbyists for Ted Turner, Turner Broadcasting System Inc. in Washington D.C. Breece has hosted a local radio talk show for Cumulus Broadcasting as well as a local television show for Time Warner Cable. Breece is very active in his hometown of Fayetteville, N.C. and is currently serving as Chairman of the Board of Directors for the Greater Fayetteville Chamber of Commerce. Breece is a member of the North Carolina Military Affairs Commission and he is a recipient of “The Order of the Long Leaf Pine” which is North Carolinas highest civic award. Breece is a member of the Hay Street United Methodist Church and earned his Bachelor of Arts Degree at Atlantic Christian College and served three years active duty in the United States Army Mortuary Branch. Breece is married to Dena D. Breece, PhD, CPA who is a Associate Dean and Professor at Methodist University.